Another Steveston landmark bites the dust! Steveston Marine & Hardware's Moncton Street location will close its doors at the end of summer after 77 years. The old store is one of the village's iconic, historic buildings, with its elaborate artwork on its outside wall. Steveston Marine has been struggling in the village for many years, due in part to the decline of the fishing industry. Rezoning and heritage alteration permit applications are posted on the wall indicating the intention to demolish the building for commercial space at ground level and 5 condos above. The village used to be a commercial hub for the fishing industry. Now most if it has gone with only a few (if any) sockeye salmon openings for the fishermen these days. Steveston is essentially a tourist town now with too many big box stores opening up in Richmond as well. It is too tough for Steveston Marine to compete. 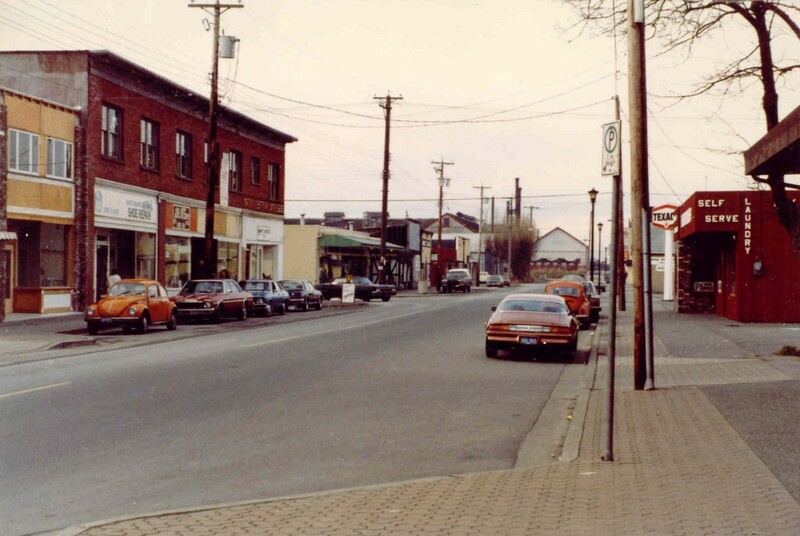 The store was originally a general store, called Steveston Hardware which was owned by 2 brothers. In 1974 it was bought by Weston Marine, who inserted 'Marine' into the name and it became a fishing supply store as well. In 1984, the company went into receivership and Iqbal Ladha took it over. Ladha hasn't totally closed his mind to the possibiity of the business returning to its roots in the future, with a couple of offers floating around the village. Ladha mentioned 3 years ago, before he decided to sell the building, how he was thinking of relocating the business elsewhere in Steveston and turning the store into a micro-brewery or small winery, both with tasting rooms.